The Saudi-led coalition’s air strikes hit a market in Yemen’s Haja province on Tuesday, killing 41 civilians and injuring 75 others, according to a senior provincial health official. The director of Haja health department, Dr. Ayman Mathkour, told Reuters that three airstrikes hit the market in the Mustaba disctict. There have been conflicting reports as to the number of casualties resulting from the strike on the market. Saba Net, a Yemeni news agency controlled by the Houthis, says that 65 people have been killed and 55 more injured in the air strike in Mustaba. Global charity Doctors Without Borders (MSF) said earlier on Tuesday that more than 40 people, all of them civilians including an eight-year-old in critical condition, were admitted to Abs Hospital after being wounded in the strike, Reuters reported. Both the Saudi-led coalition and the Houthi forces have not yet commented on the issue. 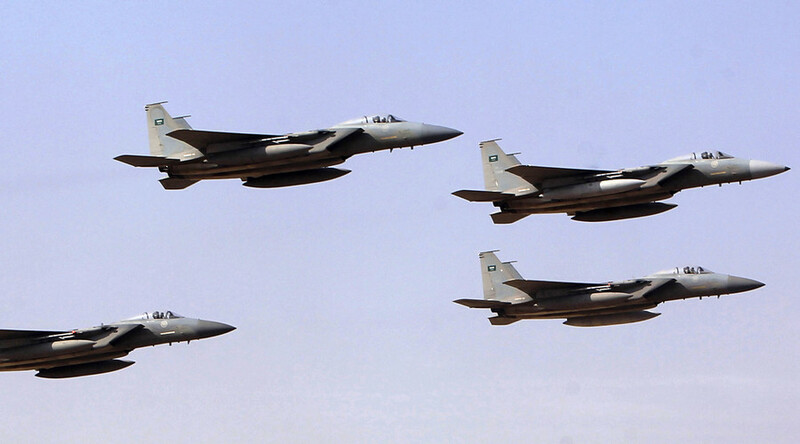 The Saudi-led coalition has been fighting Shiite Houthi rebel fighters allied with Iran. The coalition provides air support for the Yemeni government forces involved in fierce clashes with the Houthis on the ground in several regions of the country. Since the start of the coalition’s aerial campaign a year ago, some 6,000 people have been killed, many of them civilians. In January, a UN panel set up to investigate the bombings in Yemen reported to the Security Council that it had uncovered "widespread and systematic attacks on civilian targets by Saudi Arabia." In its attacks on Yemen, the coalition has also been using cluster bombs, which are banned from use in populated areas, Human Rights Watch (HRW) reported citing the results of its own investigation. 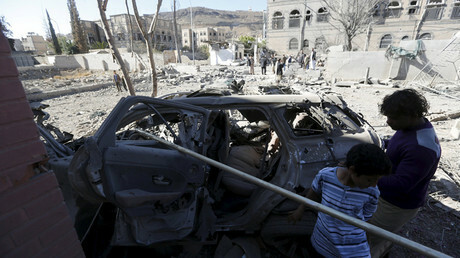 On February 27, the coalition hit another market in the Yemeni capital of Sanaa in an airstrike that claimed lives of 45 people, mostly civilians. About 50 more were wounded in the incident. In the meantime, the Saudi-led coalition continues to deny targeting civilians. In January it said that it had introduced tougher procedures to investigate reports of strikes leading to civilian deaths as well as pledging to improve its targeting mechanisms.